I'm back this week sharing another one of our previous homes. 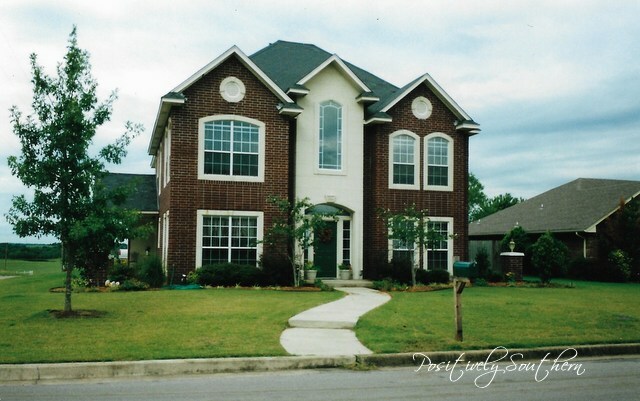 How much do you trust your husband, best friend along with a realtor to pick out your home? Well ya'll I trusted them alot! Meet house #4 located in Guyton, Georgia just outside of Savannah. 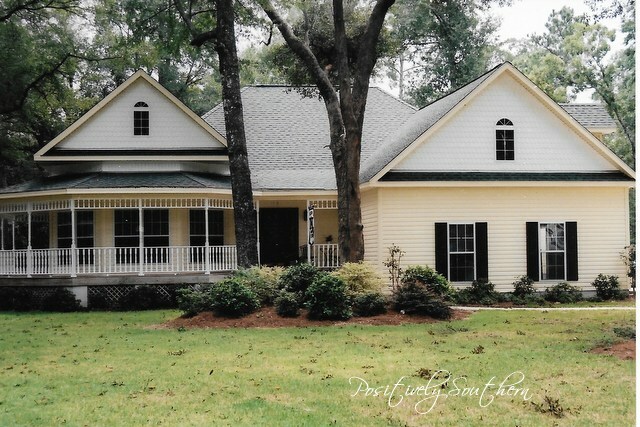 I do realize that this house sure is pretty in these photos...gorgeous even. But the first time I drove down the drive way I sat in the car and thought to myself what has my husband done. It was truly a fixer upper. The spindles on the porch were all rotten, the shrubs were 3 times taller than they are in these pics, the yard was so over grown, the lights on the end of the garage were broken.....and I won't even talk about the inside except to say....more blooming wallpaper....everywhere!!! I drove all the way from Ardmore, Oklahoma to house shop for a few days and came up with zilch. zip, nada!!! So that is where Honey, Bestie S and realtor turned friend come in. It took a while for the house to sell in Oklahoma which was probably a good thing considering we they had a heck of a time finding a home. Every room had a different color carpet along with a crazy paint color. Our master shown in this pic was bird egg blue with pink carpet and a border....more blue and pink. The shot below is the after, forgive the distortion in colors as these were pics I had to scan and the colors are all wonky! This was the family room. We LOVED this room and spent lots of time here. The ceiling pictured here was the formal living room that was enormous. 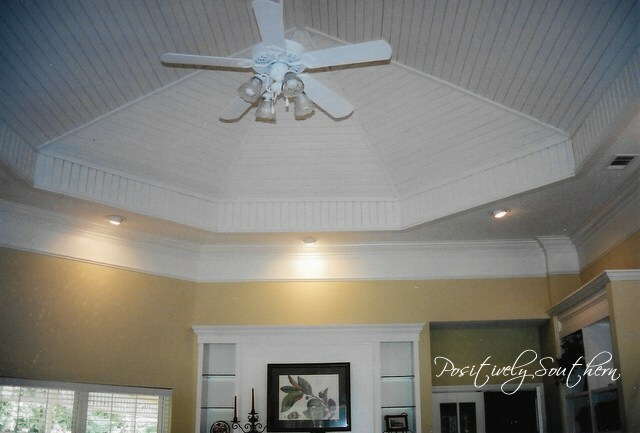 The ceiling was gorgeous, looked like a gazebo and was not painted when we moved in. The painters that were there with us for 3 WEEKS painting the entire home, suggested that we spray paint the ceiling fan(it was brass). I said sure give it a go. It worked and functioned just fine after so, yes indeed you can spray paint a ceiling fan! Note the built ins the living room. This house had them everywhere. I didn't have enough stuff to put on them! This photo is half of the formal foyer. 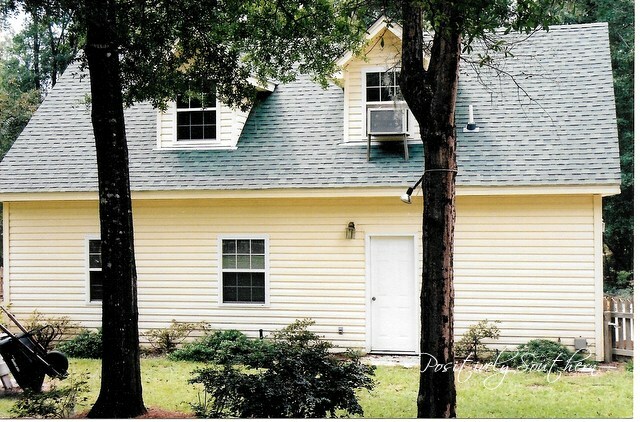 Ya'll this was my fav part about the house....that and the fact it was back in Georgia. 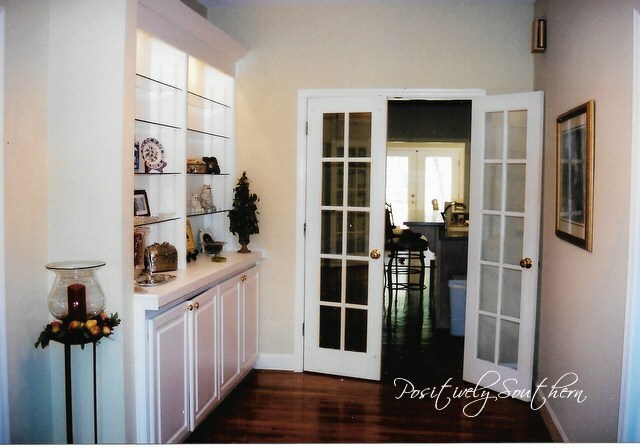 Note the built ins and the french doors. This house had 6 sets of french doors inside. 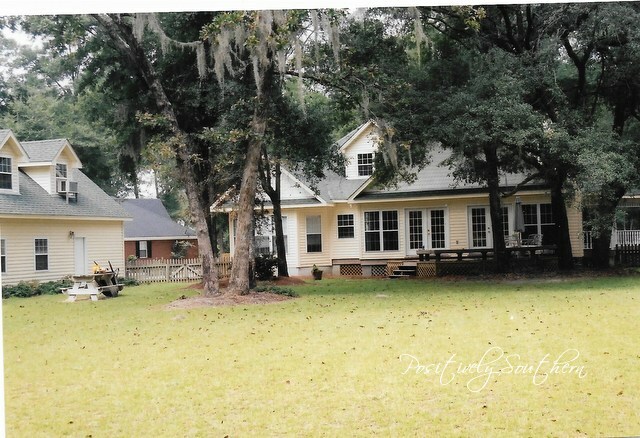 The back yard was spacious, the house sat on an acre lot. The little Cap Code building you see was a detached garage. The builder of this home was also the owner, they lived inside this garage while building the big house as they called it. 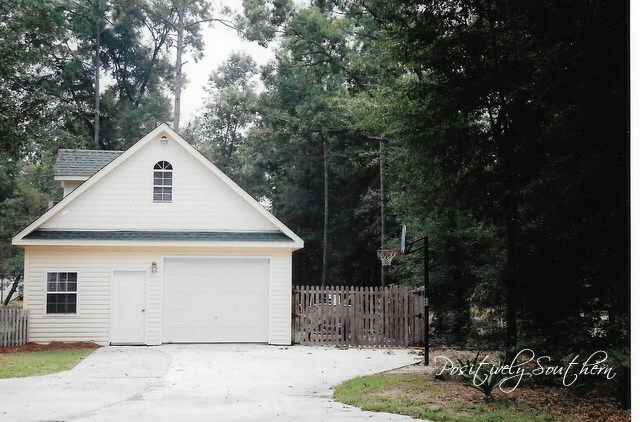 The square footage of this garage was almost as large as our very first home...it was 1,500 square feet. It boasts a bathroom and an apartment that was heated and cooled. Note the cement pad to the side that is fenced....along with Honey's boat that we had to sell when we moved to Auburn, insert a sad face for Honey. I wish that I still had the photos of the before of this home, ya'll when I said the painters were there for 3 weeks I'm so not kidding....I was sick of them by the time they left. Maybe I can scratch up some interior photos so I can share those too. 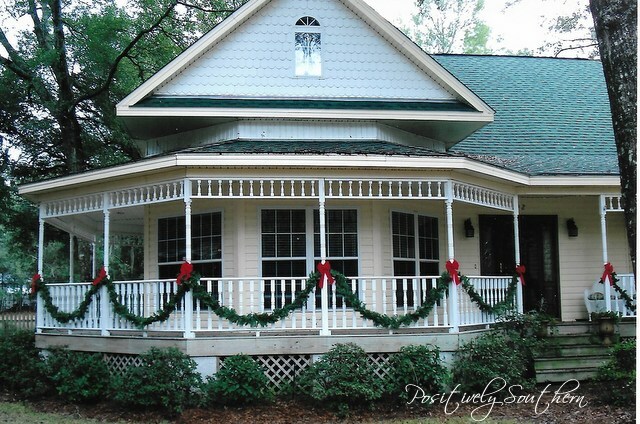 This house was really hard to leave and I still lay awake at night redecorating it! Through the life of this little blog I've mentioned here and there about the other homes we've owned. 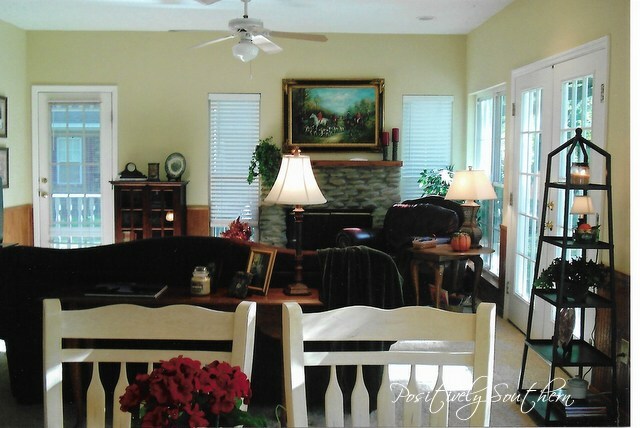 Many of you have even asked to see photos of those homes. Over the next few weeks I'll be sharing those. 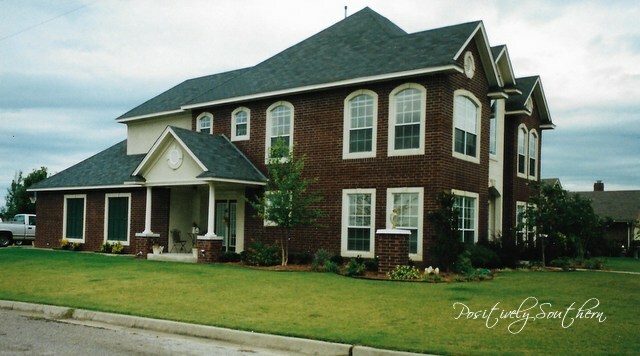 The home I'm sharing today is home #3 located in Ardmore, Oklahoma. I'd have to say that this is the most stately home we've owned. 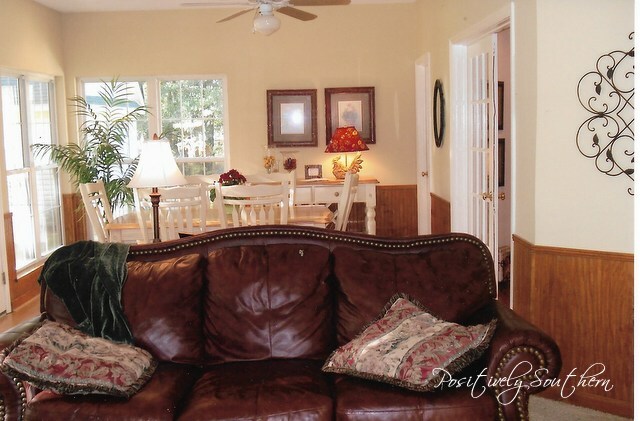 It is situated on a corner lot that provided panoramic views. When we first moved in there was a Texas Long Horn bull in the pasture you see. This home was custom built by a realtor in town. It had many bells and whistles as Honey would say. 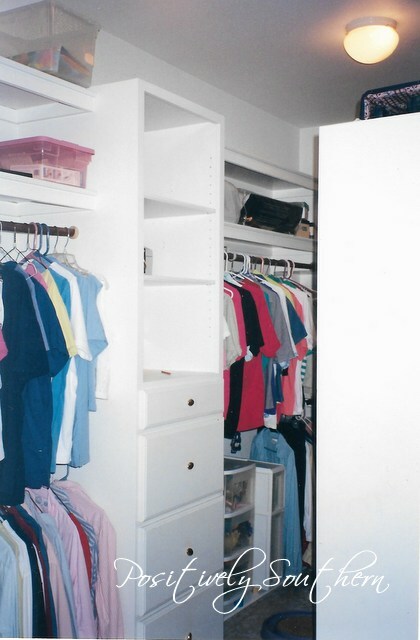 Most notable was the master closet. Ya'll that closet was something only closet dreams are made of! 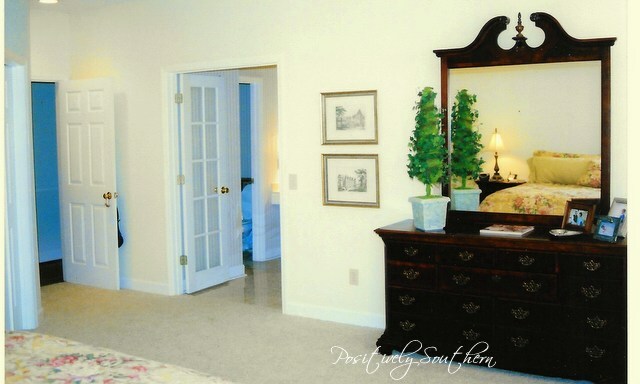 Often times when someone would ask where we lived and we answered Southern Hills they would immediately follow up with "oh you have the house with the closet!" 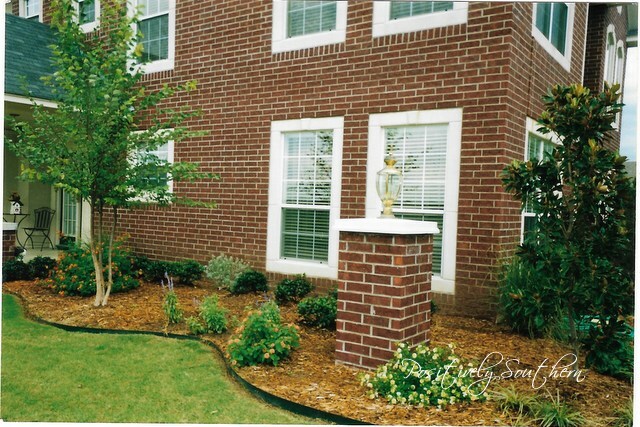 The landscaping was minimal at best so we put in some time taking it up a notch. The side porch, or what is actually called a coach porch was a ideal spot for our cats....and the numerous skunks that would pop over for a bite of cat food. Maybe another time I can share more of the inside of the home....I can tell you there was TONS of wallpaper!